Current & Past Season Stock, Samples and Discontinued Styles Below Cost! 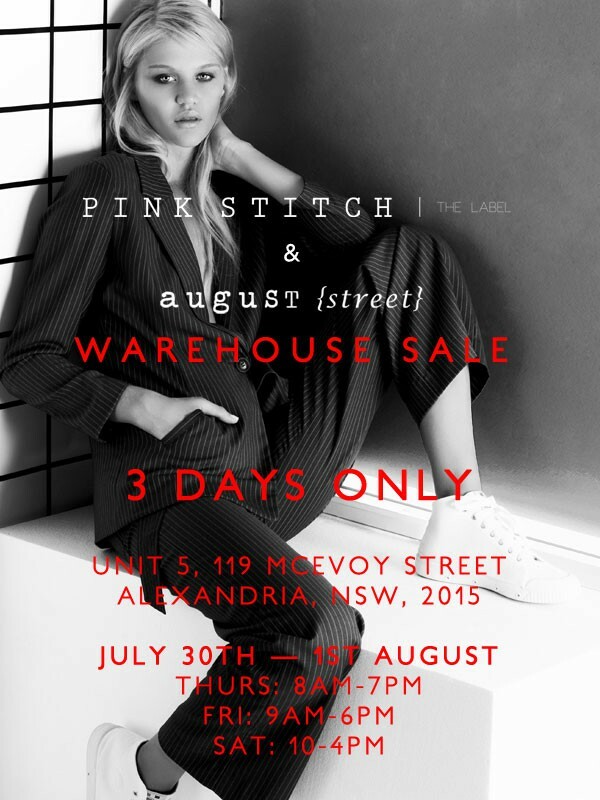 Join August Street and PS The Label at their mid-year end of season warehouse sale with price markdowns on current and past season stock, exclusive sample pieces and discontinued styles. All up to 80% off the retail price. Please note new address located in Alexandria.